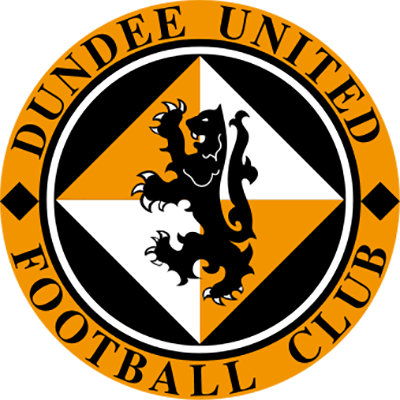 The visitors pushed forward from the kick off and forced an early corner after a David Templeton shot from 16 yards was deflected over then Johnny Russell’s persistence earned a corner in response for the Tangerines as both teams looked to assert themselves on the game. Another opportunity fell to Templeton after Gavin Gunning got the wrong side of John Sutton outside the box, with the former Motherwell man laying off to the winger who curled a foot wide of the post from just outside the area. The Terrors were struggling to get going and it took until nearly a quarter of the game was played before they registered an attempt at goal, but when it came a long distance strike from John Rankin rolled tamely wide of Marian Kello’s goal. Then, and it has to be said completely out of the blue, United took a shock lead. After the defence had broken down a Hearts attack a long clearance found its way out to Jon Daly on the right flank. With no support the United captain bided his time before sending in a pinpoint cross which picked out the run of Scott Robertson who headed emphatically into the right corner leaving the Hearts goalie helpless. Templeton, who was proving to be a menace to the United backline, instigated another attack in immediate response and after the ball found Sutton in space he slotted calmly beyond Pernis, only to be correctly flagged offside ruling out his effort. Pernis had to be alert when after 33 minutes Ryan McGowan sliced a cross which diverted the ball towards target but the goalkeeper recovered well and clawed the ball away as the Edinburgh side came as close as they had done to scoring. As half time approached there were a succession of bookings as the challenges started flying in, with Dixon, Hamill and then Neilson all being shown the yellow card. The latter two offences both attracted vociferous protests for a sending off however on both occasions referee Collum called it right. A late push by United saw Daly just fail to connect with a deep Dixon cross then the same player headed over from a corner as half time came with the home side in front. 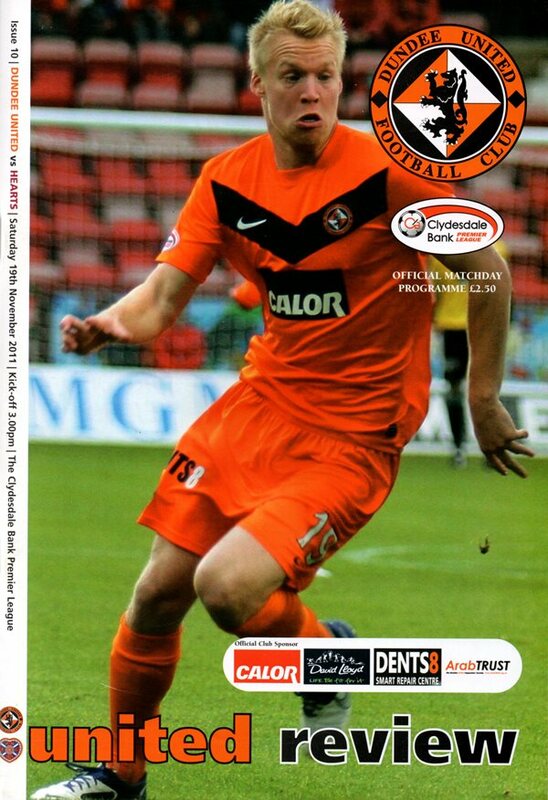 The Tangerines were no doubt the happier side at half time having struggled early on before taking the lead with Robertson’s first goal since December 27th 2008 against Falkirk. From that point on they demonstrated more belief and threatened more often however Hearts, with Templeton in particular looking dangerous, were far from out of the game and a big effort would be required to keep the slender lead. As had been the case at the start of the match it was the visitors who pressed early after the break and after Kenneth fouled Skacel just outside the box, earning himself a yellow card in the process, there was a decent opportunity from the set piece. Any worries the United faithful had at that point diminished quickly as Skacel fired high over but moments later he went much closer when he may well have netted from close range had Dixon not got in his way and blocked his effort allowing Pernis to gather. Templeton then drove into the box and shot low for Pernis to hold and Rankin again tried his luck from distance as neither side was able to control proceedings. 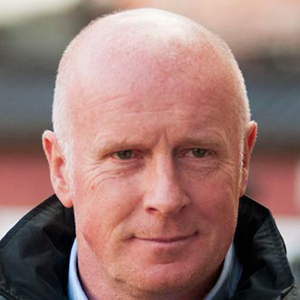 Sutton should have done better for Hearts with an hour played, scuffing his shot at Pernis after the ball had fallen kindly for him 6 yards out before Daly then had a close range strike ruled out for offside following some positive play from Robertson, who had set up Mackay-Steven to shoot at Kello creating the rebound chance for United’s captain. Paul Dixon looked keen to hit the net for the second time in recent weeks as, having seen an earlier shot sail over, he went closer after cutting inside onto his less favoured right foot and striking from just outside the penalty area. 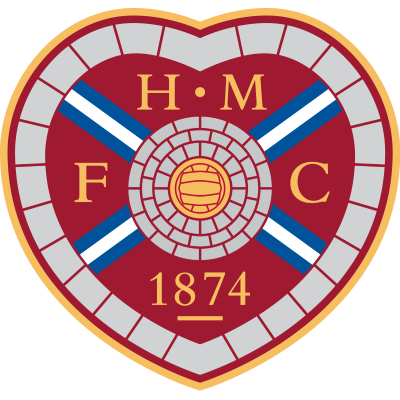 Hearts main threat was coming from long range, and following efforts from Templeton and McGowan which never looked likely to hit the net the visitors made a double change after 77 minutes throwing on Novikovas and Elliot in an attempt to turn the game their way. As a team the Terrors stood firm as the visitors applied some pressure late on, but this was without any clear opportunities and as a result they held on for the win. It was a tough 90 minutes and it was a real team effort which was required to secure a vital 3 points. The goal itself was the one real moment of class throughout the game and for that reason the points were merited. Credit must go to both sides for playing the game in a good spirit where on other occasions some of the challenges that went in may have suffered a more negative reaction. Firstly I must thank each and every one of the supporters for the tremendous backing at Dunfermline three weeks ago. Even before the game the support was fantastic and that was greatly appreciated. From my point of view the fact they were right behind me and the team was great. But what really made it even better was that the players went out and gave them a performance that made them even happier and sing more. So great credit to all of you and I would like to thank you for So we can go into today's meeting with Hearts with confidence that. We have become used to the fans being very supportive at away games but at East End you turned up the volume, singing throughout the game. So you can imagine how delighted I was that the players rewarded you by turning in a fantastic performance to ring up our biggest win of the season. And when 1 look at the last outing at Ibrox, I felt Rangers were there for the taking and had we got level with them we might well have gone on and taken something from the game. Unfortunately we gave goals away at the wrong times. When you look at the penalty kick, Dicker should have probably stayed on his feet, but instead gave a soft penalty when we were pushing to make it one each. Similarly Jon Daly ha ing pulled a goal back, we were back in the hunt only for them to score a third when Carry Kenneth was unfortunate to put through his own goal. Overall we played really well. Normally when you go to Ibrox, your goalkeeper has to pull you out of a hole, on reflection, other than routine saves and crosses, I can't think of anything else Dusan had to do. Making it even more disappointing to come away with nothing. But I have been heartened by the players' performances. So we can go into today's meeting with Heart and the boost of Robbie Neilson's arrival. He has been playing some bounce games with Burton Albion because he still has a house down in the Leicester area and has always been the type to look after himself. So I have no worries about him and he is fit enough to play right away — no doubt about it. We are short of bodies in defence and I have to think about things like Gavin Gunning or Carry Kenneth possibly getting injured. Also, Sean Dillon has been out for nine weeks so it would be difficult to pitch him back in right away. So, although I haven't picked my team yet, I will say Robbie will certainly be in contention. And no matter all the troubles off-field Hearts might be experiencing right now, we mustn't lose sight that they are an excellent side, so this'll be a very difficult game. With the squad of players at their disposal, they should be at least third. And once they get everyone fit, they can still push for that position. However, in the first meeting at Tynecastle, we had a tremendous win, but we are only too well aware that we arc going to have to be at our best if we are to repeat that.